These Savings Incentive Program recipients enrolled in the program January 2017 and will graduate December 2018. Maren and her husband Tom own Luna Valley Farm north of Decorah. Tom manages the lambs, cattle and organic field crops. 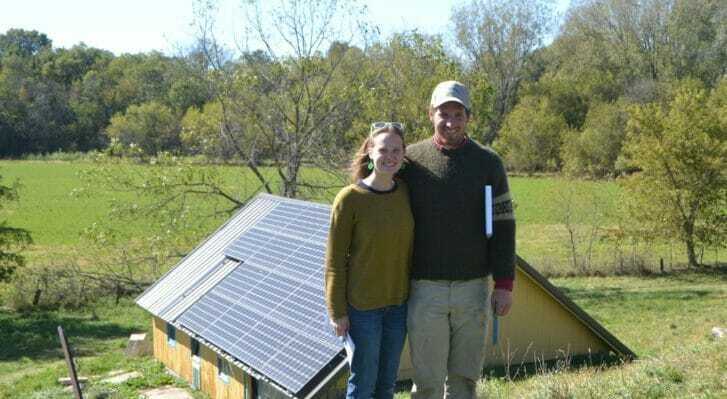 Maren works in the Center for Sustainable Communities at Luther College and is starting to play a more significant role with Luna Valley Farm’s marketing. Maren plans to become more involved in Luna Valley Farm by adding enterprises that bring people onto the farm, such as on-farm dinners, a guesthouse and a farm store. 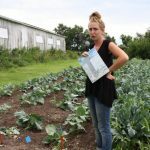 Maren feels the Savings Incentive Program will provide her with the mentor and business plan support she needs as she works toward her farming goals. With her savings match, she plans to build a wood-fired oven for the on-farm dinners. 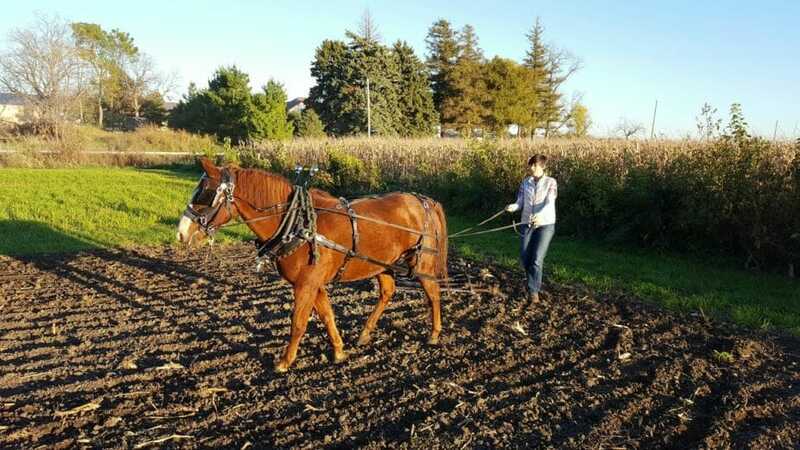 Carmen’s farming career started five years ago, when she started working with Susan Jutz on ZJ Farm, the farm near Solon from which Susan operated her CSA business, Local Harvest CSA. In 2016, Carmen purchased Local Harvest CSA and ZJ Farm from Susan and launched Sundog Farm. Carmen now manages a 120-member CSA and 30 head of sheep. She plans to maintain the current CSA while integrating the sheep into her farming system. Carmen’s vision is to have a strong and lively community involved with the CSA, and to supply vegetables and meat to a sustainable number of customers that will enable her to have a profitable farm. Carmen was drawn to the Savings Incentive Program because of the program’s structure, support for creating a business plan and emphasis on developing sound fiscal habits, such as saving money. With the savings match, she hopes to purchase a larger tractor as she expands the livestock aspect of her farm. Kelly started Hoof Beet Farm in 2016 near Dallas Center. Her first year, she grew vegetables and culinary herbs for nine CSA members and raised 75 broiler chickens. 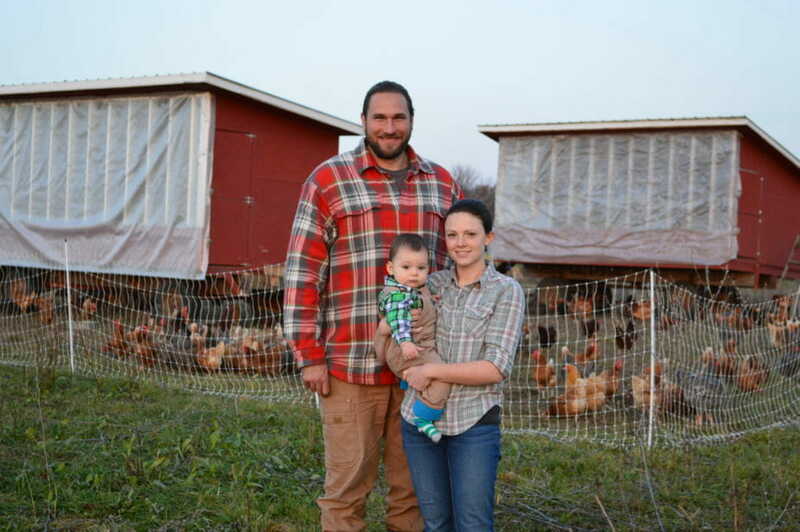 In 2017, Kelly plans to expand both the CSA and broiler enterprises, and to add laying hens to her product mix. 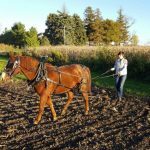 Kelly has a background using draft animals for power and hopes to use her draft pony to work the garden soil. She applied to the Savings Incentive Program to refine her business plan, and to use the mentorship to refine her goals and priorities. Kelly plans to use her savings match for new draft equipment or to upgrade her washing and packing facilities. Starting in the spring of 2017, Emily will be co-owner of Humble Hands Harvest, based near Decorah, as it expands to a new location. Emily has been working as a Labor4Learning trainee with Erik Sessions, of Patchwork Green Farm, and is ready to lead her own business. Emily envisions one day raising all the products needed to provide a complete and balanced diet for their community, from fruit and vegetables to meat. She also plans the farm to serve as a space that can engage the community through volunteer opportunities, group meals, seasonal events. Emily is participating in the Savings Incentive Program because she feels that support from a mentor and beginning farmer peers will help her to more successfully develop her farm. She is considering putting her savings match toward a cultivating tractor. Matt currently is running a cow-calf operation and raising organic corn near Dubuque. He plans to expand his cattle herd, diversify with different livestock and start a meat CSA to build his customer base. 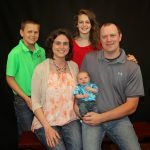 Matt values the lessons he learned while growing up on his family’s farm and wants to offer the same opportunity to his children. He is participating in the Savings Incentive Program to strengthen his business with the guidance of a mentor, and to create a habit of saving for future growth. He plans to purchase equipment to support selling meat directly to local customers. 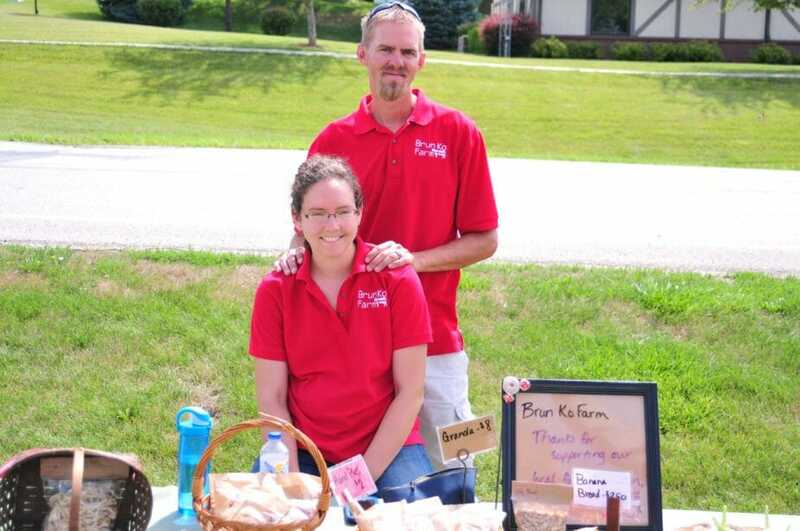 Emily and Nathan own Brun Ko Farm, in Elk Horn, where they raise vegetables, fruit, pork and Jersey beef. They plan to start a dairy herd and open an on-farm creamery to sell their cream, milk and yogurt. They anticipate their farm becoming an agritoursim location where their customers can engage and learn about their farm. Emily and Nathan are participating in the Savings Incentive Program to develop a habit of saving to reduce their debt, and to learn from their mentor. With their savings match, they plan to purchase a cooler and to improve their packing facilities. 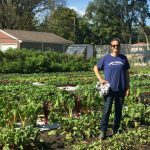 Jenny started Dogpatch Urban Gardens in 2016 on a small plot of land inside the Des Moines city limits. Using small-scale farming techniques, Jenny raises vegetables to sell through on-site farmstand, salad subscriptions (a modified CSA), farmers markets and various wholesale accounts. 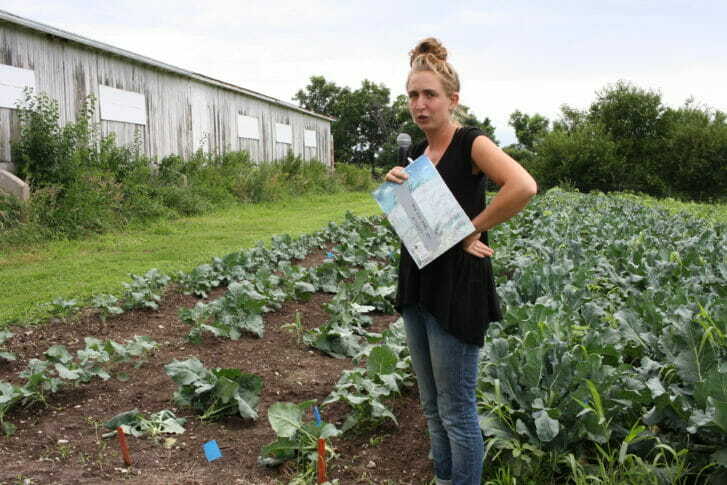 Jenny plans to expand her farm and hopes to add a high tunnel to extend her seasons and grow her markets. 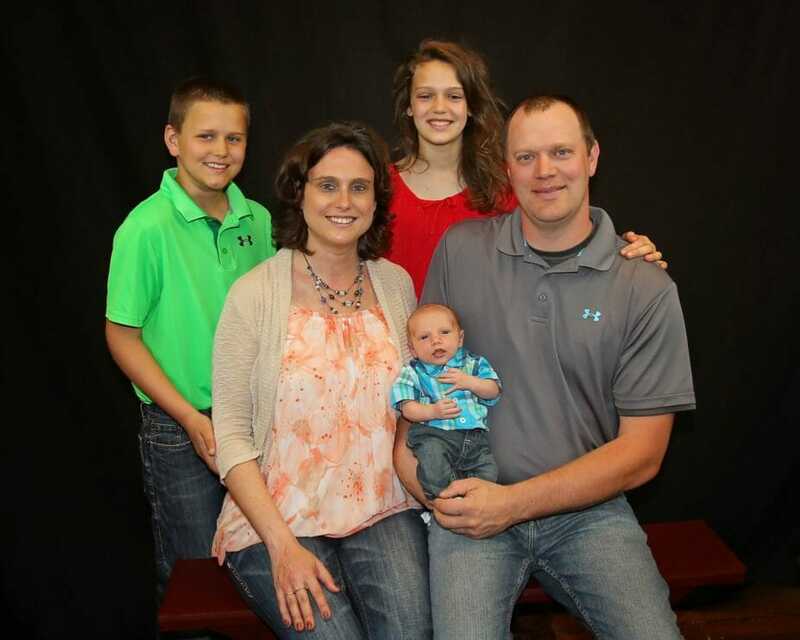 Prior to starting her farm, Jenny taught biology and environmental science at Dowling Catholic High School. 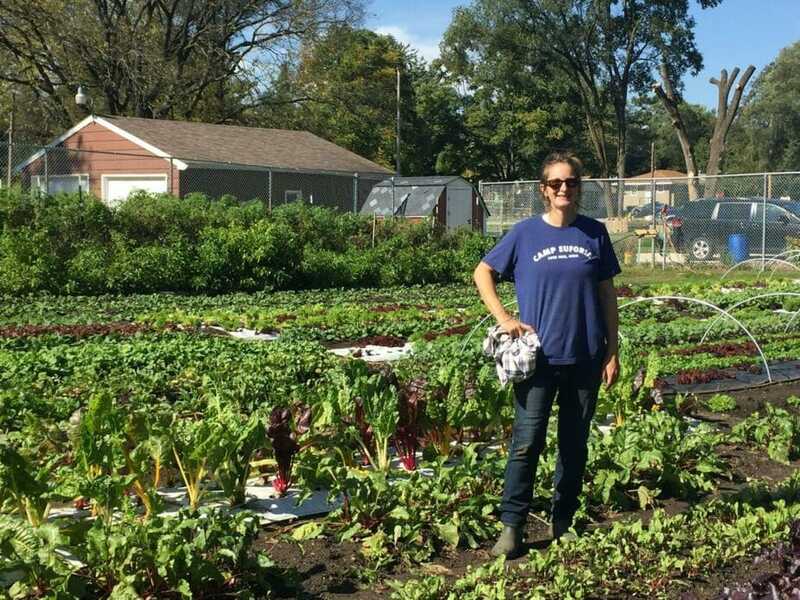 She feels she can make a positive change to the food system by lessening the need for fossil fuels on her farm and by offering people in the Des Moines area fresh, local and safe food. Jenny is participating in the Savings Incentive Program to receive guidance from her mentor and to re-analyze her business plan as she grows her business. With her savings match she plans to purchase a BCS tractor or build a high tunnel. 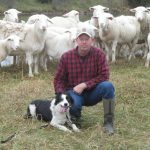 Bart started Apple Creek Farm in 2016, where he is raising hair sheep near Centerville. After searching for land to start his own farm, he was able to find a neighboring farmer through FindAFarmer to lease land from. 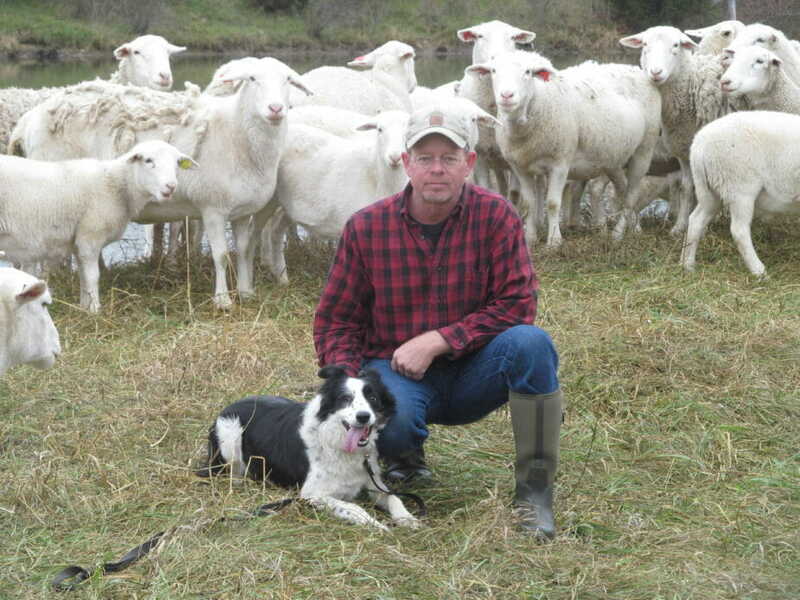 He envisions his farm having a sustainable forage system that will support multiple species. Bart plans to work with his mentor to further develop his marketing strategies, and looks forward to using the Savings Incentive Program to create a profitable business plan. With his savings match he hopes to purchase a walk-in freezer and additional fencing equipment. 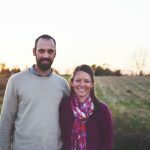 Matt and Lori own and operate Heirloom Farm near Earlham. 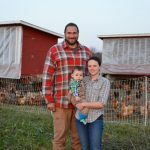 Since 2015, they have been raising vegetables for their CSA members as well as producing eggs and broiler chickens which they sell directly to consumers. Before starting on their own, Matthew spent one season as a Labor4Learning trainee at Small Potatoes Farm. 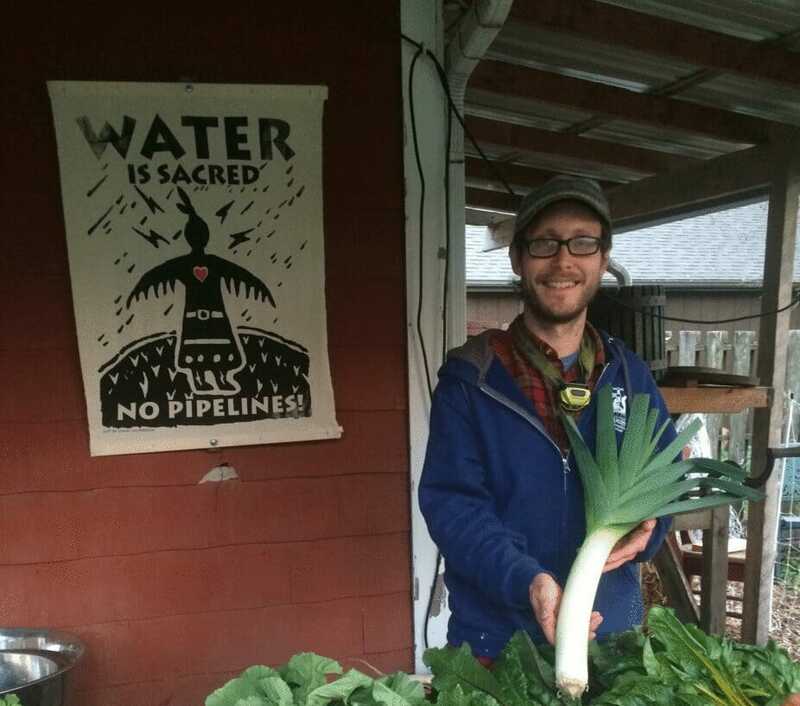 He and Lori envision adding enterprises to expand the foods they can offer CSA members. 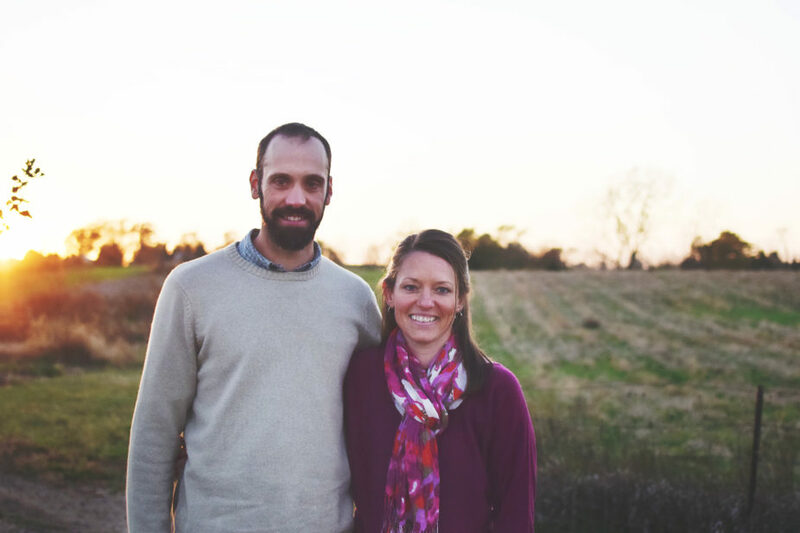 By participating in the Savings Incentive Program, Matthew and Lori hope their mentor can help guide them as they add grass-fed beef to their farm. They plan to use their SIP savings to make their beef herd a reality. Tom and Taylor started Remnant Hills Farm in 2015 near Nevada. They raise pasture-based livestock and naturally grown vegetables and flowers. They currently sell their products through farmers market and Farm to Folk. As they grow, they hope to expand their offerings through new marketing methods. By participating in the Savings Incentive Program, Tom and Taylor hope to improve their business plan and increase their financial understanding of their business. They plan to purchase a tractor and loader with their savings match. Jon operates The Millet Seed, an urban farm in Iowa City. 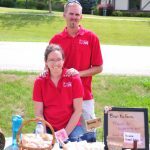 In 2016, he began a CSA that supplies a diversity of fruits and vegetables, mushrooms, fermented products, vinegar, cider and other specialty items throughout the season. 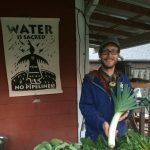 His vision is to have an urban farm that is truly sustainable and provides a model for others interested in farming without going into debt or relying on heavy machinery and fossil fuels. Jon feels the Savings Incentive Program will provide the financial and mentor support he needs as he works toward his farming goals. 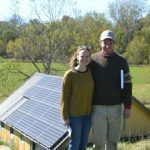 With his savings match he plans to install solar panels or a greenhouse.